The Saarinen Tulip collection consists of an armchair and armless chair, with swivel or fixed base. The chairs are available with either an upholstered seat cushion, or fully upholstered inner shell with seat cushion. There is also a stool with upholstered cushion on a swivel base. Awards: The Museum of Modern Art, New York, 1969 / Federal Award for Industrial Design, Germany, 1969 / Design Career Stuttgart Award, Germany, 1962. Base consists of cast aluminium with Rilsan coated finish. The shell is moulded fibre glass reinforced plastic bonded finish. The shell and base are available in either a black or white finish. Fully upholstered inner shell with seat cushion available in a range of Kvadrat fabrics. Stool and chairs with seat cushion only are available in a range of fabrics and Spinneybeck leather. 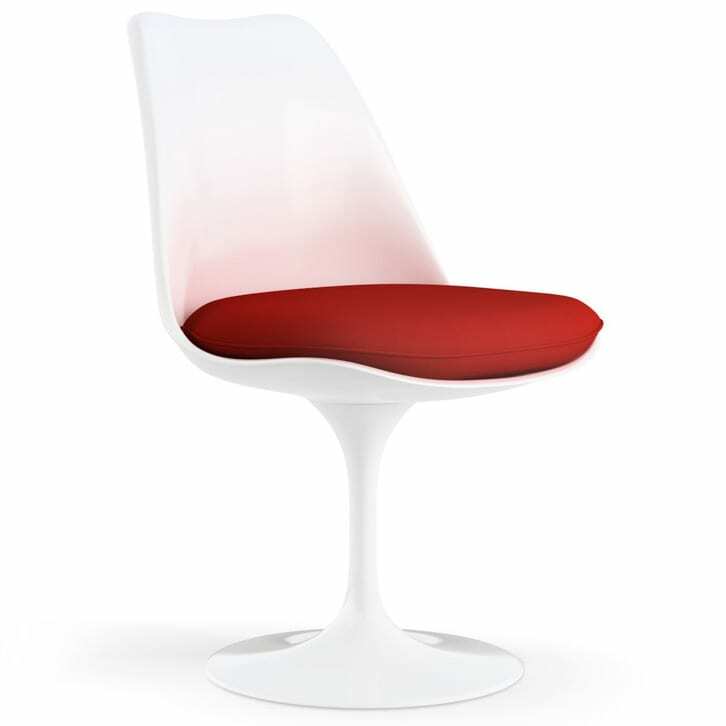 Do you have a question about "Saarinen Tulip (chair)"? How can we contact you?